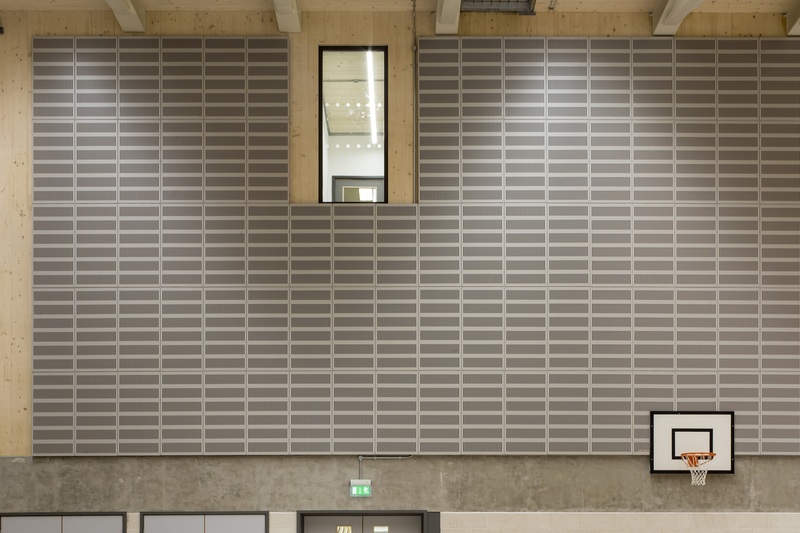 MEDITE SMARTPLY have provided their MEDITE PREMIER FR fire rated panels for a state-of-the-art sports and learning centre in Cambridge. 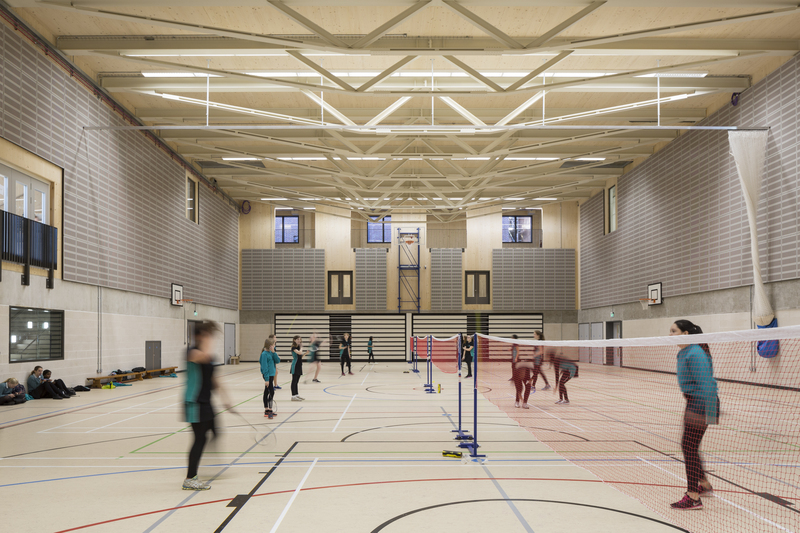 The product was specified by architects Chadwick Dryer Clarke (CDC) for acoustic panelling in the new sports hall for Stephen Perse Foundation senior school. 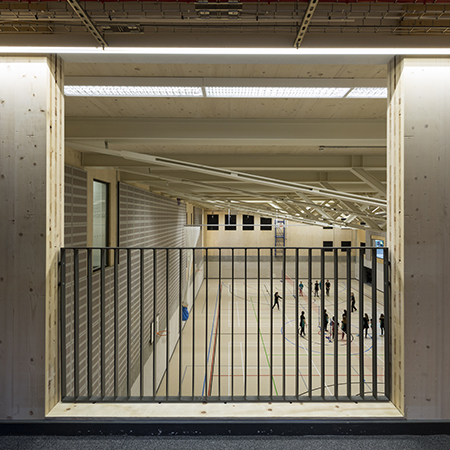 The sports hall is part of a complete new building designed by CDC, combining sports facilities with new classrooms meaning consideration of acoustic performance is essential. 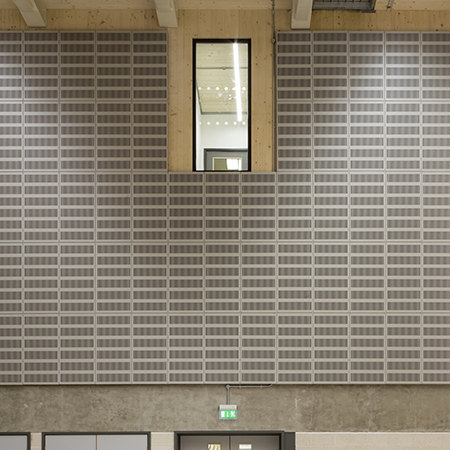 Within the sports hall, approximately 530 MEDITE PREMIER FR panels were installed at high level above a storey-high ‘plinth’ of concrete blockwork. 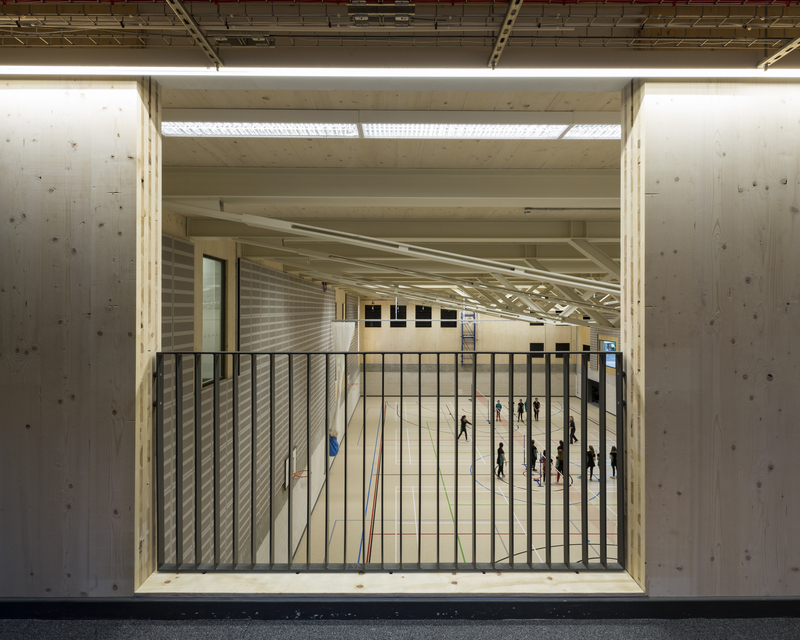 They were finished in RAL 7044, a silk grey tone, which complemented the treated cross-laminated timber (CLT) finish in other areas. 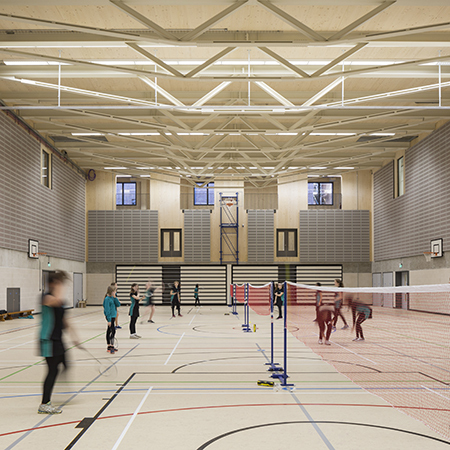 Building regulations state that within schools a Euroclass B or C fire rated panel must be used and MEDITE PREMIER FR offers the perfect solution. The FR panels are lined at the rear with a black fleece and glass-wool insulation, 28% open area can absorb sound and reduce the reverberation time, greatly improving the quality of the environment within the space.